GeeksAgainst.com: Happy Birthday, G.I. Joe! 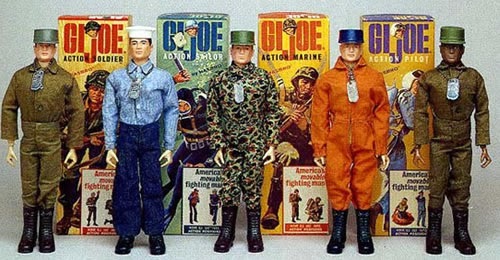 Hasbro's G.I. Joe turns 50 today. After thousands of figures and characters strong, the toyline has yet to show age! To see most of the figures, check out this extensive Joe database at http://www.yojoe.com/. In the mid 80's, Marvel Comics helped revamp and rebrand G.I. Joe by using an idea for a S.H.I.E.L.D. comic book series and turning it into a G.I. Joe series. That's when we got to see a lot of our favorite characters. For more information, check this article! Yo, Joe! Who is your favorite?